When I think of Easter, I think of chocolate and a long weekend and I think nowadays that’s as far as most peoples train of thoughts go. I’m well aware of the religious background behind Easter, but honestly as I’m not a religious person I don’t tend to really think of that during the holiday. For me (and I think for a lot of people) Easter is about spending time with my family and indulging in chocolate treats without feeling too guilty. I mean, nowadays I’m not feeling too guilty about how much chocolate I’m eating anyway because I mean, if the baby wants chocolate, who I am I to deny her?! 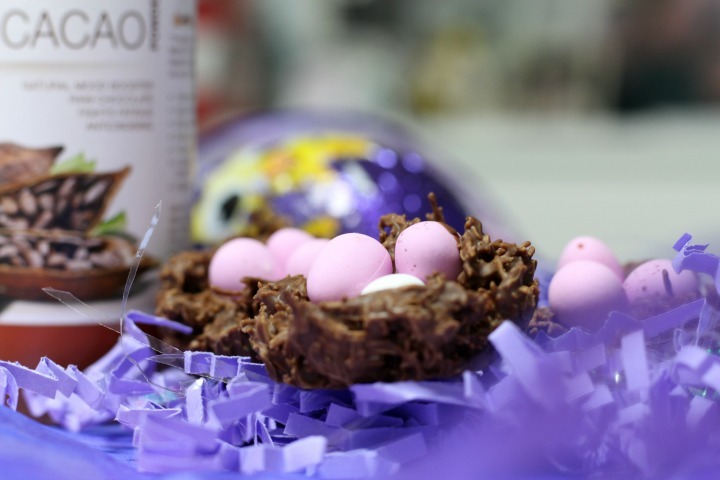 I am getting a little bit bored of eating chocolate on it’s own though, so for this week’s post I thought I would add a little bit of fun back into the blog and share one of my favourite easy Easter treat recipes with you. 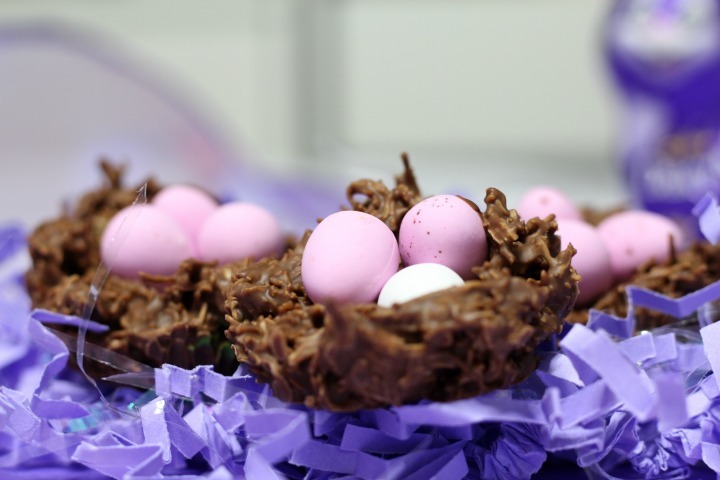 If there is one treat that’s symbolic in my eyes with Easter, it is of course the iconic Easter nests: complete with Mini Eggs. 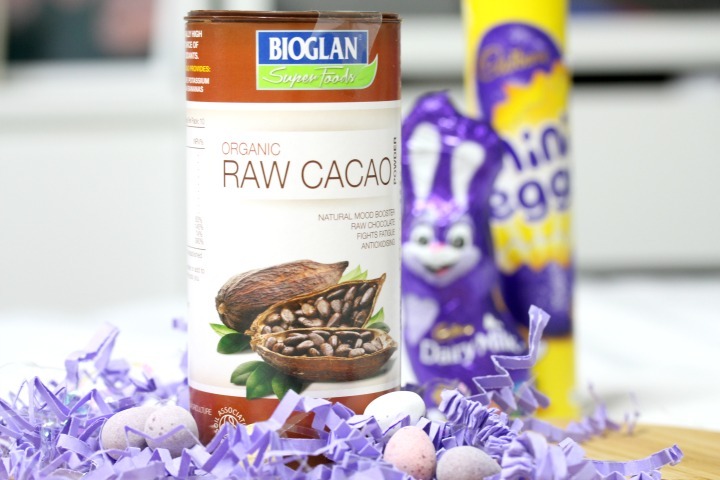 I’ve made mine with a slightly healthier twist this year too by incorporating the Bioglan Cacao Powder; a superfood packed with antioxidants yet still full of a super chocolatey taste, just to give my nests that little extra boost (and to keep that chocolate guilt at bay a little longer). In a glass bowl over a pan of boiling water, melt your chocolate. Crush the Shredded Wheat in a separate bowl. I’d love to know what your favourite Easter treat recipes are and what you’re getting up to over the Bank Holiday weekend! Leave a comment so we can share recipes too! Previous Post Gender Reveal: We’re having a…..!